Fracture and fault networks are conduits that facilitate groundwater movement in hard-rock terrains.Soil-gas helium emanometry has been utilized in Wailapally watershed,near Hyderabad in southern India,for the detection of fracture and fault zones in a granite basement terrain having a thin regolith.Based on satellite imagery and geologic mapping,three sites were selected for detailed investigation.High spatial resolution soil-gas samples were collected at every one meter at a depth of &lt;1.5m along 100 m long proﬁles (3 in number).In addition,deep shear-wave images were also obtained using the multichannel analysis of surface waves.The study clearly indicates several soil-gas helium anomalies (above 200 ppb)along the pro ﬁles,where the shear-wave velocity images also show many near-surface vertical low velocity zones.We thus interpret that the soil-gas helium anomalous zones and the vertical low-velocity zones are probable traces of fault/fracture zones that could be efficient natural recharge zones and potential groundwater conduits.The result obtained from this study demonstrates the efficacy of an integrated approach of soil-gas helium and the seismic methods for mapping groundwater resource zones in granite/gneiss provinces. Gondwana sedimentary basins in the Indian Shield preserve a rich record of tectonic, sedimentary and volcanic processes that affected Gondwanaland. The Gondwana rocks were deposited in the linear rift basins that were formed during Permian–Cretaceous time, similar to their neighbours in Australia, Africa and Antarctica. 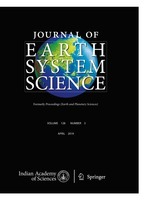 In this study, we illustrate how Gondwana tectonics affected the Sohagpur Gondwana basin that occurs at the junction of the Mahanadi and Son–Narmada rift systems in the central India, through a high-resolution seismic reflection study along six profiles, covering the central part of the Sohagpur basin. The study reveals (1) ∼1000 m thick, gently dipping Barakar Formation, (2) thick coal seams at a depth of 350–550 m, and (3) NNW–SSE to NW–SE striking steeply dipping normal faults defining rift geometry. These results indicate that the Sohagpur basin contains a thick Lower Gondwana sedimentary succession with a high potential of coal resources and were affected by extensional tectonics. The rift structure in the study area is a syn- to post-sedimentary deformational structure that was formed arguably in response to tectonics that pervasively affected Gondwanaland.